Advocates for a significant change in how Sarasota County commissioners are elected were celebrating a victory this week along with other winners in the Nov. 6 General Election. After working for more than a year to collect enough signatures to get the proposed Sarasota County Charter amendment on the ballot, leaders of the Sarasota Alliance for Fair Elections (SAFE), won 59.84% of the 193,439 votes cast on that measure. 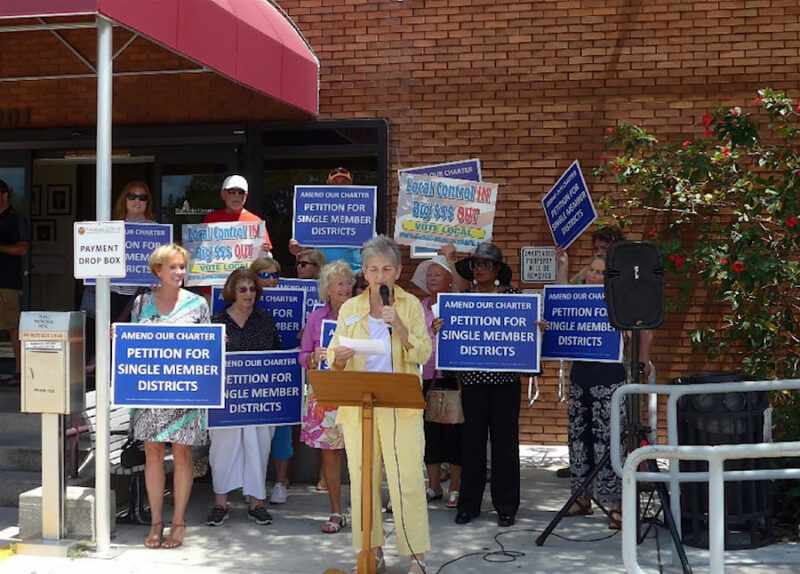 The Single-Member Districts initiative will require that voters in each of the five Sarasota County Commission districts elect just their own representatives, who must live in the districts they will serve. The method of election through Nov. 6 allowed all county voters to cast ballots for all commission candidates. Nonetheless, citizen-initiated petition drives, such as the one SAFE successfully pursued, will become more difficult as a result of another set of county Charter amendments that won approval this week, representatives of nonprofit groups have told The Sarasota News Leader. As proposed by the County Commission itself, any group seeking to put an amendment before county voters in the future will have to gain signatures of 10% of registered voters, instead of 5%, and it will have to submit all of those petitions at one time to the Supervisor of Elections Office between Jan. 1 and April 1 of the General Election year in which the Charter amendment would appear on the ballot. Previously, no time limit was imposed for anyone seeking to secure the necessary number of signatures, County Attorney Stephen DeMarsh explained during discussions of the County Commission proposal. Further, all citizen-initiated petition drives will be included on General Election ballots; no more special elections will be scheduled. The winning margin for the Nov. 6 ballot question encompassing all those proposed changes was 57.92%, according to the unofficial election results. Altogether, 187,357 votes were cast on that question, the unofficial Supervisor of Elections data showed on Nov. 7. A separate Charter amendment — approved by 61.64% of voters this week — will make it necessary for any new Charter amendment proposed by the Sarasota County Charter Review Board to appear on a General Election ballot, too. Total county voter turnout for the mid-term election this week was 66.88%, the Supervisor of Elections Office reported. Of the 318,384 citizens registered to vote for the Nov. 6 General Election, 212,935 cast ballots, the office noted on its website. Voter turnout in 2014 was 58.93%, Supervisor of Elections Office records show. 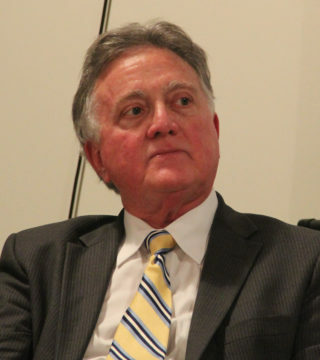 In the past four years, voter registration had risen almost 15%, Supervisor of Elections Ron Turner has pointed out. During an Aug. 29 presentation to the County Commission — which had to take a formal vote to put the question on the General Election ballot — Dan Lobeck, a member of the SAFE board, explained the nonprofit’s position. The switch to single-member districts, he said, would encourage more people to seek County Commission seats, because they would be facing less expensive campaigns. As of that date, the county had about 314,000 registered voters. “That’s a lot of voters for a candidate for County Commission to reach,” he pointed out. Lobeck added that more than 300,000 constituents was quite a large number for any board member to serve adequately. “Single-member districts give grassroots candidates a fighting chance of being elected,” Lobeck said. However, Caragiulo expressed hope that the commission could develop a “statement of principles” to guide the implementation of the new voting method that would encourage continued collegiality among the board members. Some opponents of the Charter amendment said it will encourage commissioners to just look out for the interests of their constituents, instead of county residents as a whole. Anne Johnson, long-time editor of The Pelican Press in Sarasota, told the News Leader that when single-member districts were in effect in 1992, the Pelican’s editorial board also found candidates to be less educated about issues outside their own districts. The single-member district voting method was eliminated in 1994, Lobeck pointed out to the commissioners during his Aug. 29 presentation.